Tove Jansson turns 101 this Sunday. She was 61 exactly when I was born, so I will be celebrating at a secret location on the day, hence the advance nature of this post. What is there to celebrate this year? For the youngest, a delightful film in glorious summer sunset colours, and for the oldest, a nomination for the American Literature in Translation Association award. Although with Tove, the division is never clear-cut: the Moomins were always meant for adult readers and there’s an understanding of how children feel in her stories for adults. 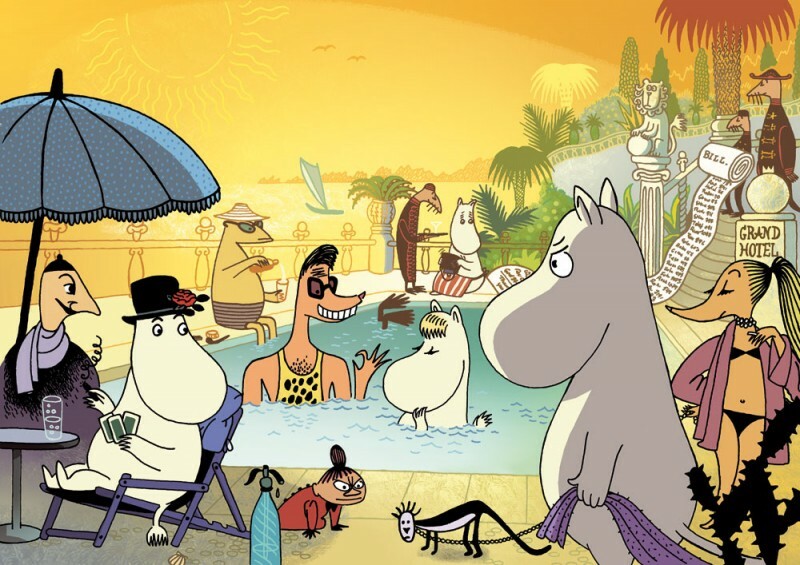 First, the film: Moomins on the Riviera. I saw it with godchildren soon after its Finnish release last year, but the video won’t be out in the UK till next month and you might still catch it in the cinema: here’s the trailer. It’s old-school in most positive sense. Then, the book: The Woman who Borrowed Memories, in new translations by Thomas Teal and Silvester Mazzarella, and is longlisted for the American National Translation Award (shortlist also out next month). These collection ranges from dystopian shopping to childhood summers to hijacking a long-running comic strip – and someone else’s memories. I can’t recommend these highly enough; Tove is insightful, pithy and very entertaining. 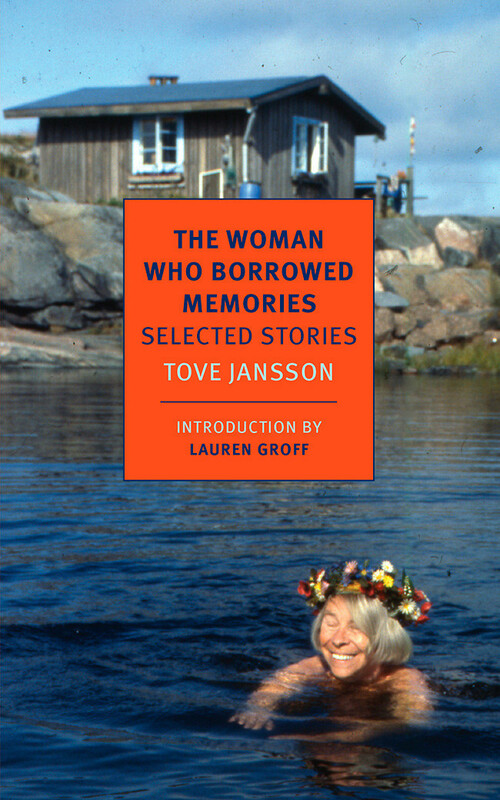 Enjoy the rest of the summer – and the rest of women in translation month – as much as Tove is on her book cover.